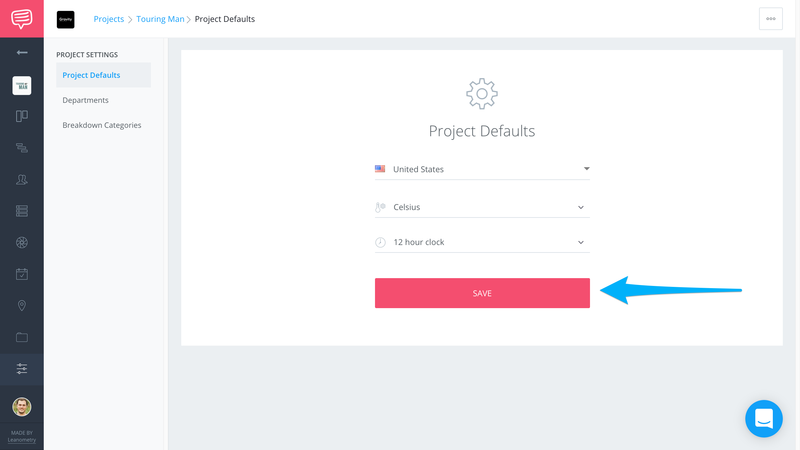 Learn how to change your Project's default temperature format to Fahrenheit or Celsius. 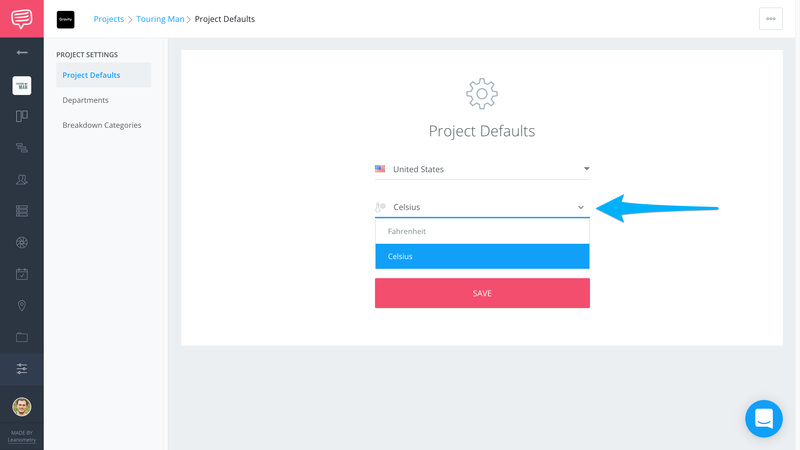 Although you can set Default Temperature formats for your entire account, sometimes you have projects that include travel and therefore require their own setting. 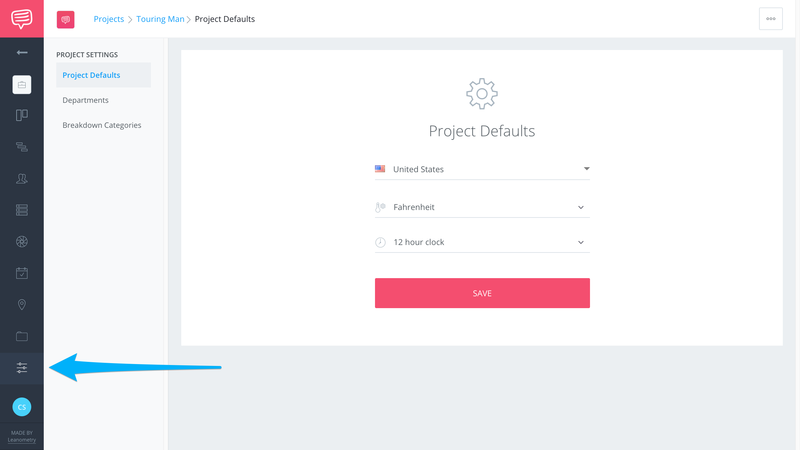 Follow these steps to customize the temperature for a specific project. Click the Manage tab in the Sidebar. Why isn't the temperature matching what Google Maps is providing? The temperature functionality updates are determined by the exact day and time that is chosen on the call sheet. If you cross-check with Google Weather, and it doesn't match up, it could be due to the actual day/time that's selected.